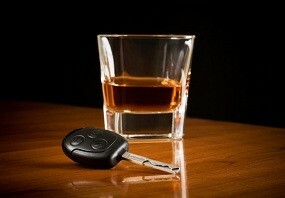 Los Angeles County law enforcement officials have announced a massive campaign to crack down on drunk driving. According to a news report in The Pasadena Star News, the “Avoid the 100 Task Force” campaign will be in effect for 17 days starting now through the Labor Day weekend. The increased law enforcement will include extra patrols and checkpoints, and the DUI crackdown will cover all of Los Angeles County. For example, in the San Gabriel Valley area, checkpoints will be set up in Pasadena, San Gabriel, South Pasadena, Norwalk, West Covina, and numerous other locations. These types of crackdowns often result in an increased number of California drunk driving arrests. Drunk driving convictions in California can result in a number of penalties including fines, lengthy license suspensions, and jail time. First-time offenders will likely face a fine ranging between $390 and $1,000 as well as a license suspension of four months. Some first-time offenders will also have to spend between four days and six months behind bars, have mandatory attendance at a DUI school, and possible community service. Individuals with prior DUI convictions should be especially careful during the “Avoid the 100 Task Force” campaign. A second DUI offense in California carries a jail sentence of up to one-year, a $1,000 fine, a license suspension of one year, and three to five years of probation. These types of penalties are likely to increase with every additional offense. The experienced Pasadena DUI defense lawyers at Takakjian & Sitkoff have a successful track record fighting drunk driving charges stemming from sobriety checkpoints and saturation patrols. Please contact us at (866) 430-8383 for a no-cost consultation before discussing the specifics of your case with the authorities.